There's good news for drivers everywhere as the government has pledged a record figure of £6billion to improve the state of England's roads over the next six years. Transport Secretary Patrick McLoughlin revealed, at the announcement, that this funding should mean around 18million potholes across the UK can be fixed. The fund will give local authorities the means to properly fix potholes and improve the state of local roads, which have deteriorated since cold weather and severe flooding. There is also a further £575million available to repair and maintain local road infrastructure going forward, including street lights, bridges and junctions. An additional £578million will be available to councils that deliver cost-effective improvements to the road network. Mr McLoughlin said: "Roads play a significant part in everyday life. 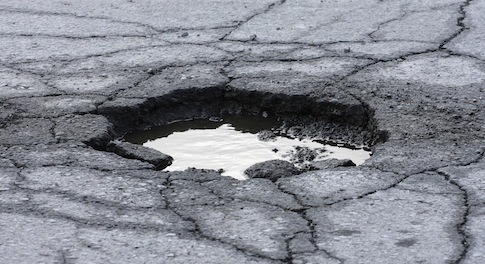 Poorly-maintained local roads, blighted by potholes, are a menace to all road users, particularly during the festive period as people travel to see family and friends", as reported in the Courier. "It is vital we have good-quality roads. This £6billion funding will put an end to short-term fixes and will mean we have committed £10 billion between 2010 and 2021."